We congratulate NCWN West member Bill Ramsey of Hendersonville who has been selected to serve on the NCWN Board of Trustees. The North Carolina Writers' Network welcomes three new members to its Board of Trustees: Margaret D. Bauer, Bill Ramsey, and Ward Brian Zimmerman. "New voices are essential for an effective board," said NCWN Executive Director Ed Southern. "Our new trustees bring with them a wealth of experience and talent, and hail from parts of the state—the coast and the mountains—that too often have been under-represented." Bill Ramsey is an active supporter of literacy and literature. He serves on the Board of Trustees of Blue Ridge Community College and as an advocate for Blue Ridge Literacy Council and the Henderson County Public Library. In 2008, he helped to organize the Blue Ridge Bookfest and has remained on the leadership team. In his youth, Bill wrote sports columns for the local newspaper. During his forty-year professional career he wrote technical manuals, magazine articles, and business newsletters. In retirement, writing about real-life issues became his passion. He is the author of four books and maintains a blog. He also writes op-ed columns and book reviews. A proud and active member of the North Carolina Writers' Network, he lives the happy life of a retiree with his wife of fifty years, Donna. 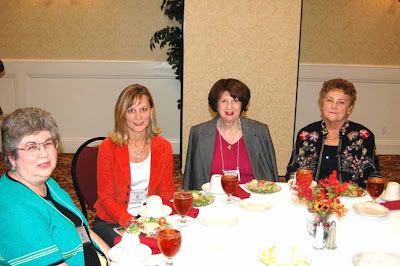 LIVING IN MEMORY OF THE NCWN FALL CONFERENCE. NC Writers Network is holding their 25th Fall Conference this weekend in Charlotte. (2010) I am strongly aware of the event and wish I could have attended. 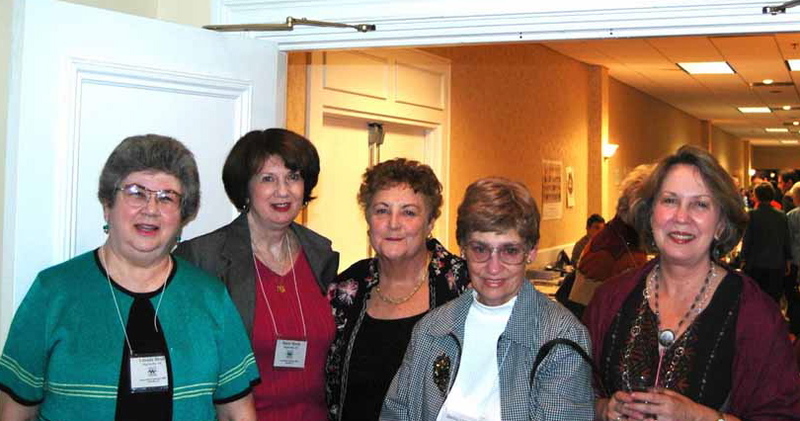 I feel forced to "live in memory" with a few old photos of the November 4-6, 2005 NCWN Fall Conference. That was "once upon a time" when NCWN West was included. 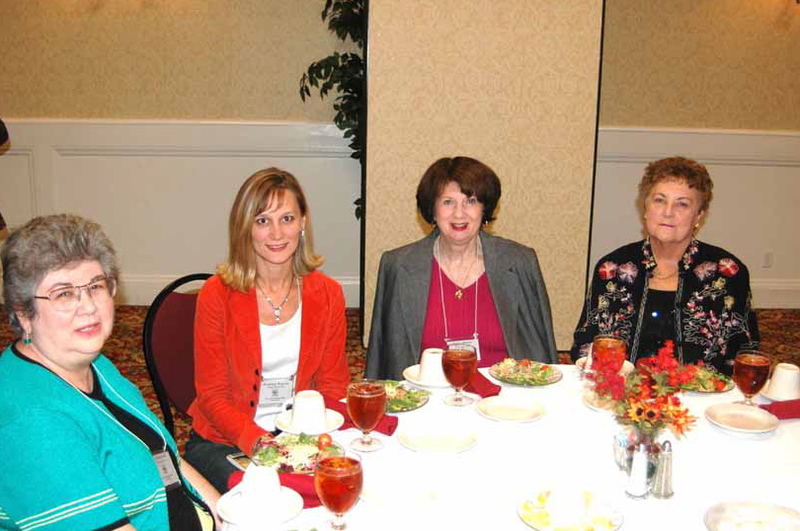 Glenda Beall, Janice Townley Moore, Nancy Simpson, Shirley Uhouse and Kathryn Stripling Byer. Glenda Beall, Rosemary Royston, Janice Townley Moore and Nancy Simpson.